his perspective on writing, teaching, and digital media. Year by the Carnegie Foundation in 2000. Co-sponsored by the SHASS Dean’s Office and the Literature Section. Tried of thinking about well-defined regions of red and blue? … start thinking about PURPLE BLURB, the digital writing series at MIT. We’ll have our next event with TRACY FULLERTON, an experimental game designer, professor and director of the Game Innovation Lab at the USC School of Cinematic Arts where she holds the Electronic Arts Endowed Chair in Interactive Entertainment. The Game Innovation Lab is a design research center that has produced several influential independent games, including Cloud, flOw, Darfur is Dying, The Misadventures of P.B. Winterbottom, and The Night Journey – a collaboration with media artist Bill Viola. Tracy is also the author of Game Design Workshop: A Playcentric Approach to Creating Innovative Games, a design textbook in use at game programs worldwide. This is a joint event with the CMS Colloquium, and supported by the Angus N. MacDonald fund. Walden, a game, is an experiment in play being made about an experiment in living. The game simulates Henry David Thoreau’s experiment in living a simplified existence as articulated in his book Walden. It puts Thoreau’s ideas about the essentials of life into a playable form, in which players can take on the role of Thoreau, attending to the “meaner” tasks of life at the Pond – providing themselves with food, fuel, shelter and clothing – while trying not to lose sight of their relationship to nature, where the Thoreau found the true rewards of his experiment, his “finer fruits” of life. The game is a work in progress, and this talk will look closely at the design of the underlying system and the cycles of thought that have gone into developing it. It will also detail the creation of the game world, which is based on close readings of Thoreau’s work, and the projected path forward for the team as we continue our sojourn in experimental in play. For now, I hope to see you this Thursday for Tracy Fullerton’s presentation about Walden, a game. A last-minute reminder for you local Post Position readers: Emily Short and Jeremy Freese are reading from their interactive fiction work today in MIT’s room 14E-310 at 5:30pm. Hope to see you there! All events are in MIT’s 14E-310. Note that the first three events begin earlier (5:30pm) than in semesters past, while the final event this semester begins later (7:30pm). Please also note (or recall) that 14E is the east wing of Building 14, the building which also houses the Hayden Library. This is *not* building E14, the new Media Lab building. Canyonlands (www.unknownterritories.org) is a film and interactive documentary about the works of the novelist and essayist, Edward Abbey (1927-1989). Abbey worked as a seasonal ranger and forest lookout in Western parks and forest-lands, wrote in praise of wilderness, and called attention to the destruction of the desert landscape. His descriptions of eco-sabotage in his novel The Monkey Gang were an inspiration for the formation of the environmentalist organizations such as EarthFirst! Canyonlands takes users into a virtual representation of the Colorado River and Utah canyonlands. There, users will follow Abbey’s road and fascinating side routes as they weave their way through history. Strawberries, Roosters and the Chocolate Seas is an upcoming feature-length documentary. It is a personal journey into the heart of Gaza using a satirical and poetic rendering of everyday life and the extraordinary events witnessed by the filmmaker, during his visit there one year after the devastating 22-day siege in January 2009. The film, shot during two intense weeks in January 2010, includes interviews with fishermen, farmers, physicians, teachers, and working professionals, interspersed with footage that captures dramatic events like the large convoys of aid arriving in Gaza despite the blockade, tunnels used to smuggle goods, hip hop bands striving for creative expression, and the floods that turned Gaza’s seashore from deep blue to chocolate. Strickland will read from four collaborative digital poems created over the past twelve years, each of which uses the screen differently: V: Vniverse, Ballad of Sand and Harry Soot, Errand Upon Which We Came, and slippingglimpse. Stephanie Strickland is a print and hypermedia poet who, in addition to having written the digital poems mentioned above, has published five books: Zone : Zero, V: WaveSon.nets / Losing L’una, True North, The Red Virgin: A Poem Of Simone Weil, and Give the Body Back. Violet is an interactive short story about romance and procrastination in which the main character is struggling to complete his dissertation. The things that happen in the simulated graduate student office are narrated to the player by the (imaginary) voice of the main character’s Australian girlfriend. Violet won several XYZZY awards in 2008, including the award for Best Game, and was the winner of the 2008 Interactive Fiction Competition. Jeremy Freese is a professor in the Department of Sociology, School of Communication, and Institute for Policy Research at Northwestern University. Alabaster is a fractured fairy tale by John Cater, Rob Dubbin, Eric Eve, Elizabeth Heller, Jayzee, Kazuki Mishima, Sarah Morayati, Mark Musante, Emily Short, Adam Thornton, and Ziv Wities, illustrated by Daniel Allington-Krzysztofiak. This interactive fiction is an experiment in open authorship. The introduction to the story was written and released by Short in 2008. The game is implemented in Inform 7 using a conversation system, developed by Short, that will be released for general use by Inform 7 developers. There are eighteen possible endings to Alabaster. Emily Short is author of or collaborator on more than two dozen interactive fictions, including Galatea (winner of Best of Show in the 2000 IF Art Show) and Savoir Faire (XYZZY Award for Best Game and in other categories, 2002) and Floatpoint (winner of the 2006 IF Competition) along with other XYZZY award-winning games: Metamorphoses (2000), Pytho’s Mask (2001), City of Secrets (2003), and Mystery House Possessed (2005). Short, who is a classicist and a scholar of attic drama, has worked on the development of Inform 7, has reviewed dozens of games, and writes the column “Homer in Silicon” for GameSetWatch. The Readers Project is a collection of distributed, performative, quasi-autonomous poetic ‘Readers’ — active, procedural entities with distinct reading behaviors and strategies. We release these Readers onto inscribed surfaces that may be explicitly or implicitly, visibly or invisibly, constituted by their texts. Over time, the Readers will address themselves to a wide range of material — from conventional found texts, through poetic reconfigurations of appropriated (fairly-used) sources, to original compositions by the project’s collaborators, and so on. Designed to support the creation of novel works of digital literature, Howe’s RiTa library, in which The Readers Project is implemented, provides a unique set of tools for artists and writers working in programmable media. Combining features of natural language processing, computational stylistics, and generative systems, RiTa enables a range of tasks, from statistical methods, to grammar-based generation, to linguistic database access (e.g., WordNet), to text-mining, to text-to-speech, to image, audio, & animation, all in real-time. RiTa is free and open-source and integrates with the popular Processing environment for digital arts programming. John Cayley writes digital media, particularly in the domain of poetry and poetics. Recent and ongoing projects include The Readers Project with Daniel Howe, imposition with Giles Perring, riverIsland, and what we will. Information on these and other works may be consulted at http://programmatology.shadoof.net. Cayley is a visiting professor at Brown University, Literary Arts Program. 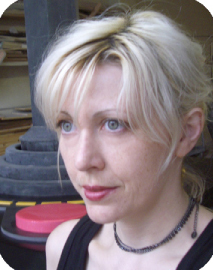 Mary Flanagan is the creator of [giantJoystick], and author of [theHouse] among other digital writing works. She is Sherman Fairchild Distinguished Professor in Digital Humanities at Dartmouth, where she directs Tiltfactor, a lab focused on the design of activists and socially-conscious software. Flanagan investigates everyday technologies through critical writing, artwork, and activist design projects. Flanagan’s work has been exhibited internationally at museums, festivals, and galleries, including: the Guggenheim, The Whitney Museum of American Art, SIGGRAPH, and The Banff Centre. Her projects have been funded by the National Science Foundation, the Pacific Cultural Foundation, and the National Endowment for the Arts. Flanagan writes about popular culture and digital media such as computer games, virtual agents, and online spaces in order to understand their affect on culture. Her co-edited collection reload: rethinking women + cyberculture with Austin Booth was published by MIT Press in 2002. She is also co-author with Matteo Bittanti of Similitudini. Simboli. Simulacri ( SIMilarities, Symbols, Simulacra ) on The Sims game (in Italian, Unicopli 2003), and the co-editor of the collection re:skin (2007). Flanagan is also the creator of The Adventures of Josie True, the first web-based adventure game for girls, and is implementing innovations in pedagogical and values-based game design. Using the formal language of the computer program or game to create systems which interrogate seemingly mundane experiences such as writing email, using search engines, playing video games, or saving data to the hard drive, Flanagan reworks these activities to blur the line between the social uses of technology, and what these activities tell us about the technology user themselves. A representative from the MIT Press bookstore will be at the talk offering copies of Flanagan’s books for sale. Once again, Purple Blurb offers readings and presentations on digital writing by practitioners of digital writing. All events are at MIT in room 14E-310, Mondays at 6pm. All events are free and open to the public. The Purple Blurb series is supported by the Angus N. MacDonald fund and Writing and Humanistic Studies. 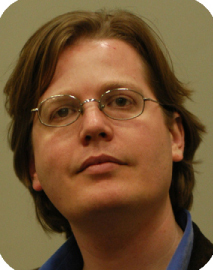 September 14 — Noah Wardrip-Fruin is author of Expressive Processing: Digital Fictions, Computer Games, and Software Studies (MIT Press, 2009), co-creator of Screen (among other works of digital writing), and assistant professor in the Department of Computer Science at the University of California, Santa Cruz. November 2 — Mary Flanagan is author of Critical Play: Radical Game Design (MIT Press, 2009), creator of [giantJoystick], and author of [theHouse] (among other digital writing works). She is Sherman Fairchild Distinguished Professor in Digital Humanities at Dartmouth. with Skin of Haints and Seraphs. 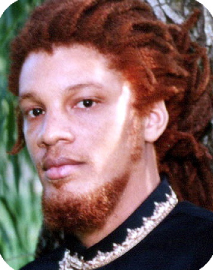 He is assistant professor of digital media in the School of Literature, Communication, and Culture at the Georgia Institute of Technology. 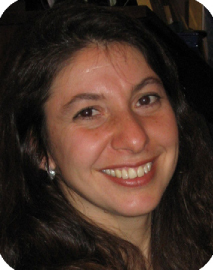 November 30 — Marina Bers is author of Blocks to Robots: Learning with Technology in the Early Childhood Classroom (Teachers College Press, 2007) and creator of the system Zora. She is associate professor in the Department of Child Development and adjunct professor in the Department of Computer Sciences at Tufts University. MEXICA is a computer model that generates plots for short stories about the Mexicas, the old inhabitants of what today is México City, based on the engagement-reflection cognitive account of writing. During engagement MEXICA generates material guided by content and rhetorical constraints, avoiding the use of explicit characters’ goals or story-structures. During reflection the system breaks impasses, evaluates the novelty and interestingness of the story in progress and verifies that coherence requirements are satisfied. In this talk I will explain the main characteristics of the system, I will show how emotions are employed to progress a story in a coherent way and generate novel situations, and how the dramatic tension of the story in progress might be employed to evaluate its interestingness. I will present results showing how story generation is affected by various model parameters and I will compare MEXICA with other story-generators programs. Finally, I will mention how we are employing MEXICA as starting point for new research projects. Pérez y Pérez will speak on Wednesday July 15, 6pm-7pm, at MIT in room 14E-310. This is in the same location as Pablo Gervás’s talk in May, and just one more floor up the stairs from the Trope Tank, where other Purple Blurb events were located. The talk is (as with all Purple Blurb presentations) open to the public. Rafael Pérez y Pérez, creator of the MEXICA story system. Rafael Pérez y Pérez earned a BSc. in Electronics and Computers at Universidad Iberoamericana in México City, a MSc. in Knowledge Based Systems and a DPhil. in Artificial Intelligence at Sussex University in England. His research has focused on computer models of creativity. He and his students have developed programs that write short stories, compose music, and solve geometry problems, among other things. In 2006 he organised the Mexican Creativity, Cognition and Computers research group (MCCC) which aims to gather together a multidisciplinary group of researchers and students interested in computational creativity. He has published different papers in the area and has participated as a PC member and co-chair in international events related to computational creativity. 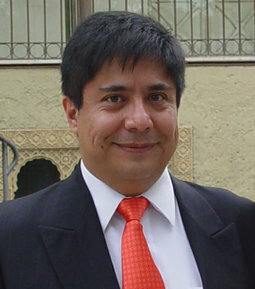 Currently he is a researcher and lecturer at The Autonomous Metropolitan University (Universidad Autónoma Metropolitana or UAM) in México City and an invited Lecturer in the MSc and PhD programs in Computer Science at The National Autonomous University of México (Universidad Nacional Autónoma de México or UNAM). Next week, the Purple Blurb series offers a special talk by a leading European researcher in creative text generation. Pablo Gervás (center) keeps his head above water. Pablo Gervás works as associate professor (profesor titular de universidad) at the Departamento de Ingeniería del Software e Inteligencia Artificial, Facultad de Informática, Universidad Complutense de Madrid. He is the director of the NIL research group and also of the Instituto de Tecnología del Conocimiento. His research is on processing natural language input, generating natural language output, building resources for related tasks, and generating stories. In the area of creative text generation, he has done work on automatically generating metaphors, formal poetry, and short films. He will speak on Wednesday May 20, 6pm-7pm, at MIT in room 14E-310. The talk is (as with all Purple Blurb presentations) open to the public, and (as with all Purple Blurb presentations so far) will be in English.